Overview & specs of Corel Pinnacle Studio 21 Standard 2018 Lifetime for 1 device by Currys PC World. Top features: - Flexible editing to suit you - Enhance your video with over 1500 effects - Drag and drop video editing helps inspire creativity - Express yourself with animations, stop motion or split screen videos Flexible editing Corel Pinnacle Studio 21 lets you edit in a way that suits how you work. You can customise your workspace and create shortcuts to access the elements you frequently use. Add your most used effects to your favourites section, making your interface more personalised as you continue to edit. You can even switch between timeline and storyboard editing based on your preference to edit videos the way you want. 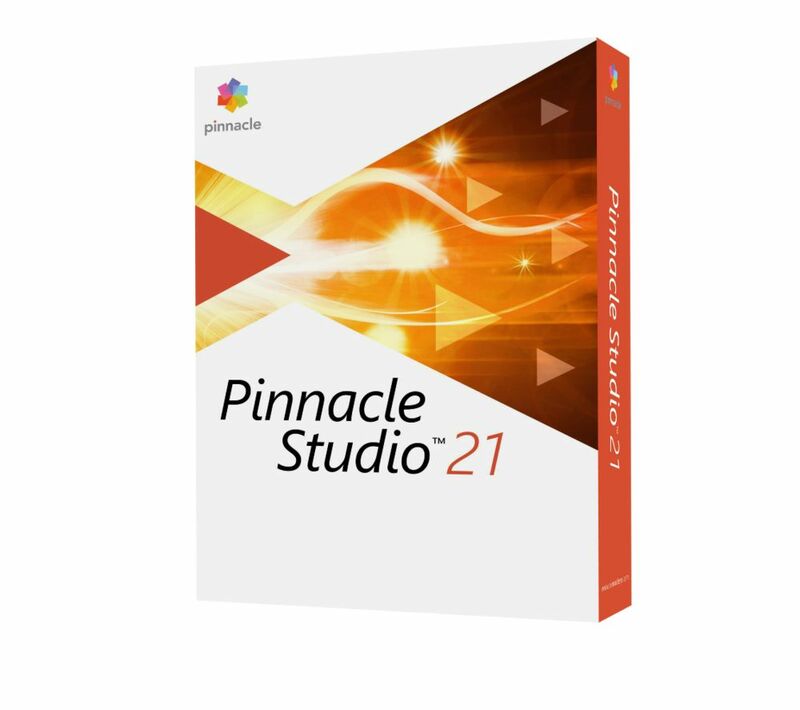 Enhance your video Pinnacle Studio 21 gives you access to a bank of over 1500 video effects, titles and templates. 3D text effects are new for the 2018 edition, helping you to give your movie a professional edge when editing is complete. With so many variables, you're guaranteed to find the right styles, transitions and video effects to suit your movie. Drag and drop If you want to make a slideshow of your holiday snaps but don't want to piece together everything from scratch, look no further than SmartMovie. Simply drag and drop your pictures, videos and movies into this automatic movie generator and watch your production come to life. If you think it could still do with more work, you can edit your movie in the timeline. Express yourself Your movie doesn't need to be a linear production, moving from one scene to the next. With the new Split Screen video function, you can drag and drop multiple videos in a single frame to create impressive promotional videos, or share highlights from an exciting trip. Alternatively, dig out your props and capture your story frame by frame to produce a stop motion movie. We are comparing prices for Corel Pinnacle Studio 21 Standard 2018 Lifetime for 1 device in new condition sold by Currys Pc World.